This was a board book I checked out with Josiah in mind, and it turned out to be a big hit with him! He is our snuggle bug, so I think he could relate to the story and liked the happy pictures. 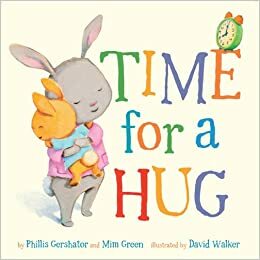 The book chronicles a day in the life of a little rabbit and its mother, showing the various activities they engage in and all the times they stop for a hug. 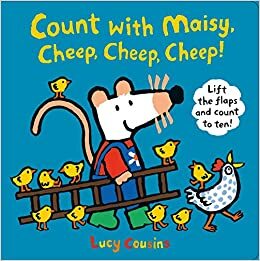 It's a sweet and simple story that any toddler will enjoy. This book was rather lengthy and had more text per picture than I usually gravitate toward for my little guys, but the story and illustrations made it too hard to pass up! We ended up reading one or two "chapters" at a time, which made such a long book much more doable. 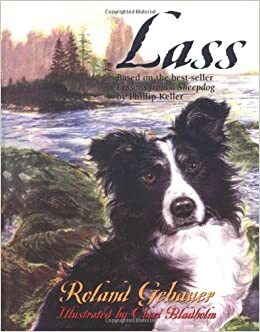 The story is based on Phillip Keller's well known book, Lessons from a Sheep Dog, which I had read and enjoyed in high school, so I was familiar with the overall tale. The children's version was also very well done, detailing the story of Mr. Keller's experience in winning the loyalty of a mean and fearful dog and then training her to be an obedient sheepdog. At the end of each chapter, a spiritual application is drawn between Lass' lessons on the farm and our need to be obedient to the Lord. Isaac seemed to enjoy the story and Josiah loved seeing pictures of the "dogee" (which were incredibly beautiful! ), but I think I enjoyed the book the most! I will probably check it out again when the boys are a bit older and better able to grasp the spiritual analogies that abound in this story. This was another excellent Christian book with gorgeous illustrations that I stumbled upon in the non-fiction "religion" section of children's books at the library. Interestingly, the book is a fictitious story about a wheel-chair-bound little boy who is very close to his grandfather. The grandfather is always sharing with young Nathan about the new heaven and new earth that God will make one day, and how the resurrection will bring glorified bodies that won't be bound in wheelchairs or wracked with cancer. Nathan comes face to face with faith in this reality when his grandfather passes away. The whole story is a sweet and gentle way to share about death with children while providing accurate Biblical descriptions of the hope Christians have for eternity because of Jesus' death and resurrection. Isaac seemed very drawn to this book and asked to read it several times. 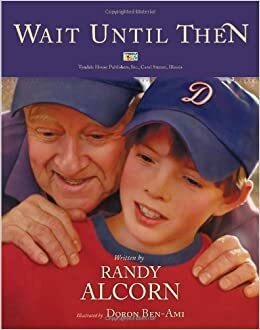 I know his interest was piqued by all the baseball discussion between the grandfather and his grandson, but Isaac was also very attentive to the part of the story that dealt with the grandfather's passing and had many good questions about it. I was very pleased with the content in this book and the discussions it provoked. And the pictures were just beautiful!